HOUSE independent bloc leader and Leyte Rep. Ferdinand Martin Romualdez appealed yesterday to millions of Filipinos who will pay respects to their departed loved ones, particularly in Metro Manila, to observe environmental concerns on All Saints’/Souls’ Day celebration this weekend. “While we celebrate treasured memories of those who have gone to rest in God’s embrace, let us also remember environmental considerations from the expected garbage that might be piling-up. 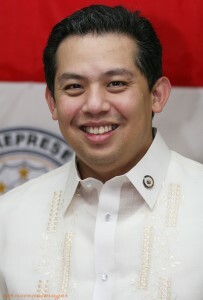 The people should help maintain cleanliness,” said Romualdez. Quezon City Rep. Winston “Winnie” Castelo and Isabela Rep. Rodolfo “Rodito” T. Albano III agreed with Romualdez, saying Filipinos should observe a trash-free celebration. Albano, senior member of the House minority bloc, said it is about time that every Filipino going to the public cemeteries or even private memorial parks to be more responsible and careful in handling and disposing of anything that they bring with them to the places of the dead. Romualdez, a lawyer-banker, recalled that authorities collect tons of waste materials left behind at the public cemeteries, streets and major thoroughfares after All Saints’ Day. The veteran lawmaker urged the public to take away waste products brought to the cemeteries or dispose of trash properly so that it will not find its way to the drainage system and inlets and cause massive flooding. He said members of the Philippine National Police (PNP) must ensure the safety of the public from criminals. Romualdez asked the public to be more patient in encountering heavy traffic leading to cemeteries, adding that road rage must be avoided at all times. “The exodus to cemeteries and memorial parks will be a traffic nightmare, the people should be more relaxed despite the inconvenience to avoid any untoward incident,” he said. The lawmaker also asked the local government units to station emergency equipment personnel in cemeteries and other volunteer groups that would provide assistance to distressed motorists.